On the 1970 1971 1972 1973 Camaro the bumpers both front and rear had many components. Fbodywarehouse brings you nearly all of these and from brand names you know and trust. From single bolts to complete bumpers we have everything you’ll need to bring your full bumper or split bumper Camaro back to spec! 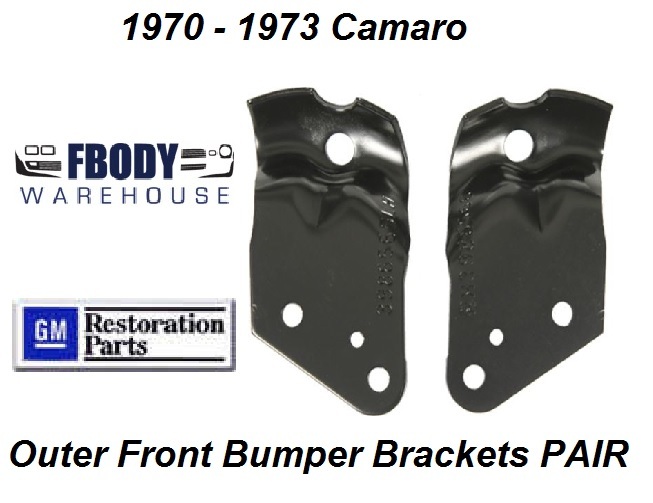 1970 - 1972 Camaro Front Bumper Guards New Pair "Shark Teeth"